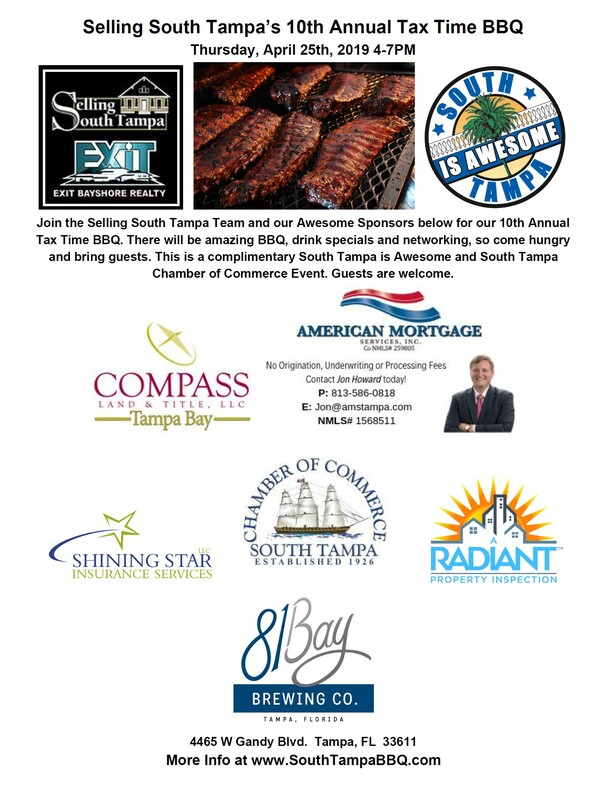 Join the Selling South Tampa Team and the South Tampa Chamber for our 10th Annual Tax Time BBQ This is a complimentary event with great food, awesome beer, and networking in a relaxed and casual setting to celebrate the end of Tax Season! Guests are welcome so bring as many as you like. We look forward to seeing everyone that can make it and we are extremely thankful for our sponsors above. They all give great customer service and would love the opportunity to earn your business. Exibitor & Restaurant Booths are sold out. Follow us on Facebook | Twitter for live updates! give-aways from sponsors, opportunity to win prizes and more! Access to indoor & air conditioned space, swag bag, additional food and beverage options, and more! If you are under 18 years old, you must be accompanied by an adult 21 years or older. Limited parking is available at the Tampa Garden Club. Additional parking has been secured off of Ysabella Ave. Signs will be posted. We also recommend biking, taxis, ride sharing, or other alternative methods of transportation when possible due to the volume of attendees. Complimentary bike racks will be available on site! No refunds once your tickets have been purchased. Yes. Please make sure you have the correct amount of tickets per persons attending. NOTE: General Admission for children under 10 is FREE. No one will be permitted to the VIP area without a VIP ticket. A full-price VIP ticket must be purchased for children wishing to access the VIP area. Unfortunately, pets are not permitted at this event. This event is a rain or shine event! Innisbrook, a Salamander Resort, has re-opened its popular South Course after a six-month renovation of the putting surfaces on all 18 greens. 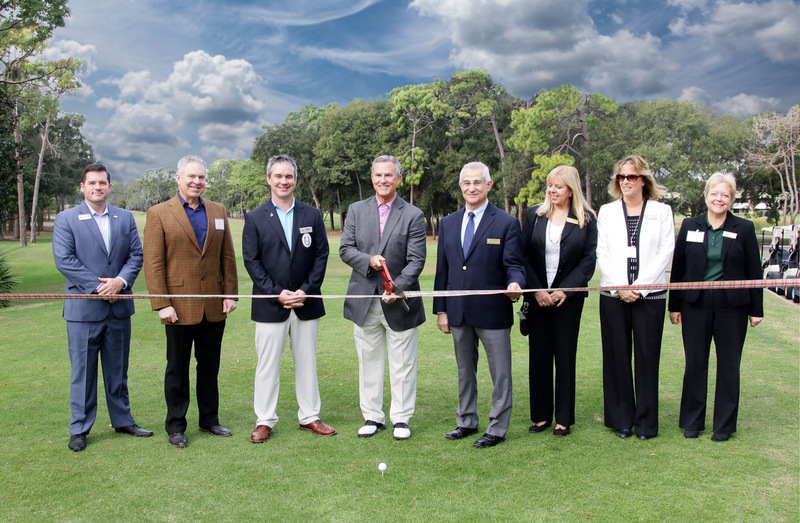 The South Course – one of four championship layouts at the Tampa Bay area resort – officially celebrated this milestone recently with a ribbon-cutting ceremony on the first tee. The renovation began in early summer and care was taken to honor the original design of Course Architect Larry Packard. The work has resulted in a firmer, more consistent playing surface, thanks to the no-till method of turf replacement used. The greens were planted with TifEagle Bermuda Grass – the same exceptional putting surface the PGA TOUR professionals rave about annually during the Valspar Championship on Innisbrook’s famed Copperhead Course. Innisbrook Resort is also in the process of completing an extensive room remodeling project that includes all guest rooms and suites, and which is expected to finish in early 2019. Tampa-to-Orlando high-speed service is a go! According to a report by the Miami Herald, Brightline is one step closer to connecting Tampa and Orlando, because the state gave the light rail operator approval to negotiate for land to begin construction on the much-anticipated Tampa-to-Orlando service. The operator has three months to come to an agreement with the Central Florida Expressway to build the track along I-4. The official station location in Tampa has not yet been determined. The high-speed train service promises to make things more convenient for both Tampa and Orlando residents. It would make it easier and safer for Tampa folk to experience all that’s going on in Orlando – including tourist attractions like Disney World and Universal – and to visit cultural hubs like the Milk District. Similarly, Orlando residents will be able to come down and experience Sparkman Wharf, the Florida Aquarium and the Tampa Museum of Art. In addition, the service should help expand tourism. But that’s not all – the Miami Herald reports that the 88-mile route, with potential stops in Lakeland and Polk, before hitting Celebration and downtown Orlando, could provide 1,600 permanent jobs, and 16,500 temporary jobs during its construction. Since the Virgin Group is investing in the service, once it’s live it won’t be known as Brightline, but will be rebranded as Virgin Trains USA. You can learn more about the service by visiting its website. 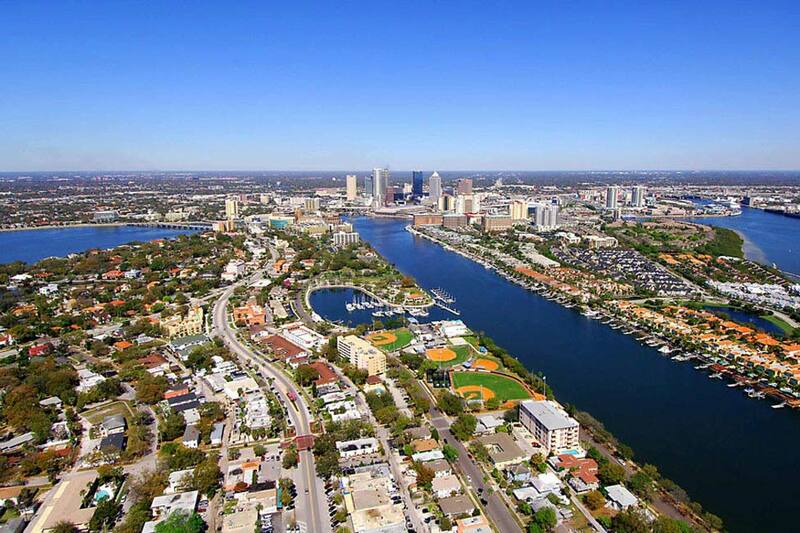 Looking for a luxury condo in Downtown Tampa? Living in luxury at what is soon to be the tallest building on the west coast of Florida won’t come cheap – starting prices begin in the $600,000s for smaller “live/work” units and go up to $1.75 million for the largest non-penthouse floor plan. For those seeking more “private urban living”, there’s Elevé 61. This recently approved condo tower will hold just 61 residences, with two three-bedroom units on each floor and no shared walls between the two. Developers at Mercury Advisors have announced that every residence will have floor-to-ceiling glass for views around downtown and Ybor City. Residents will be able to make use of indoor-outdoor fitness and social spaces. 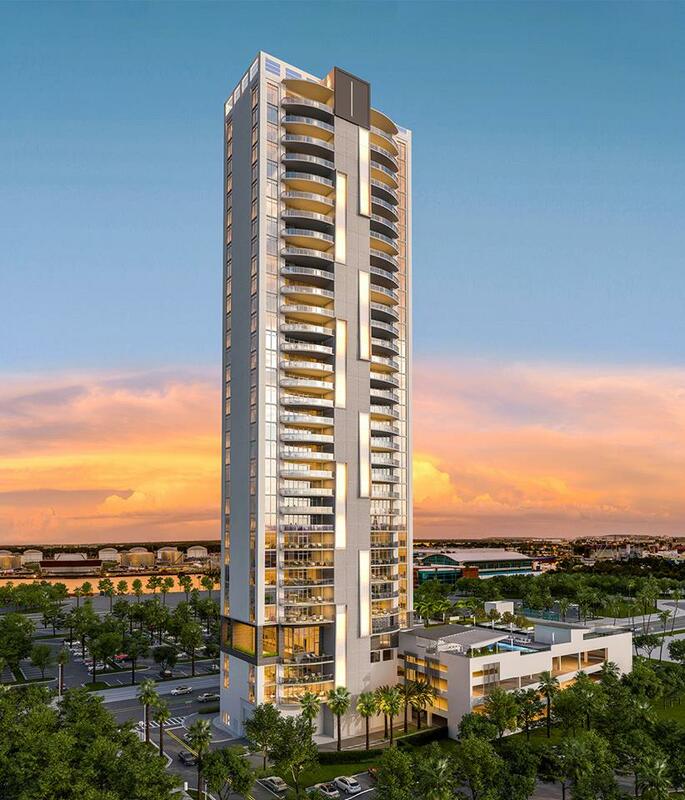 Elevé 61 will be one of the tallest residential buildings in Tampa. 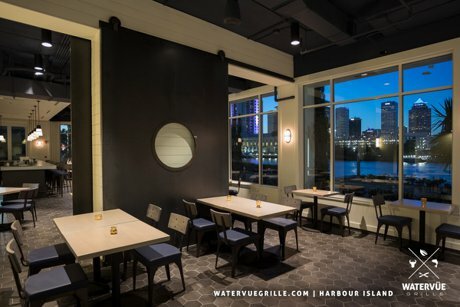 One of its biggest selling points is its proximity to the Water Street Tampa development and Sparkman Wharf – the revamped Channelside Bay Plaza. Sales prices are expected to start in the $800,000s and construction is set to begin in early 2019. 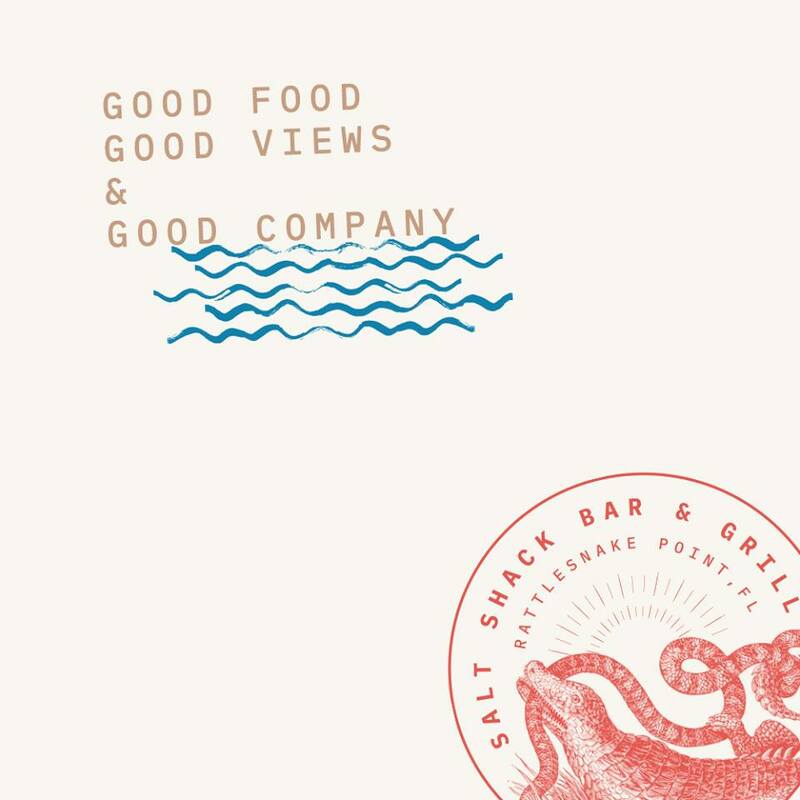 Salt Shack on the Bay – a boat-up restaurant that will serve fresh seafood and tropical cocktails – is under construction on Tampa's Rattlesnake Point, just south of the Gandy Bridge. The group behind Salt Shack – Screamin’ Willy’s LLC – is under the same management as Viper Ventures, which owns 31 acres on Rattlesnake Point overlooking Old Tampa Bay. Two years ago, Port Tampa Bay approved a lease with Screamin' Willy's, which allows a waterfront restaurant to build a walkway and a floating dock with 12 boat slips. Salt Shack is the most recent of various developments and investments in that area of the Gandy waterfront. Rattlesnake Point is just south of Westshore Marina District, where hundreds of millions of dollars of multifamily units are under construction, with condo towers and retail to break ground in the coming months. 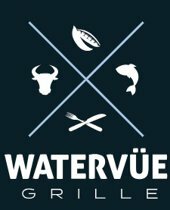 The restaurant is set to open in early 2019. Please bring a toy for a child in need. 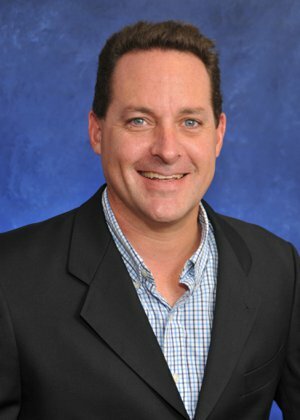 With the majority of Hillsborough County voters having given the transport referendum the green light, thereby making the decision to invest in the county's transportation, congested roads and bridges, potholes and lack of funding for transportation projects should now become things of the past. To help fund the region's transportation projects, Hillsborough County will now have an extra one-penny sales tax. Jeff Vinik - Tampa Bay Lightning owner and a partner in Water Street developer, Strategic Property Partners - has been heavily invested in the referendum. "This is far more important to Hillsborough County than Water Street. Our citizens decided to sacrifice and tax themselves because they understand the importance of infrastructure. 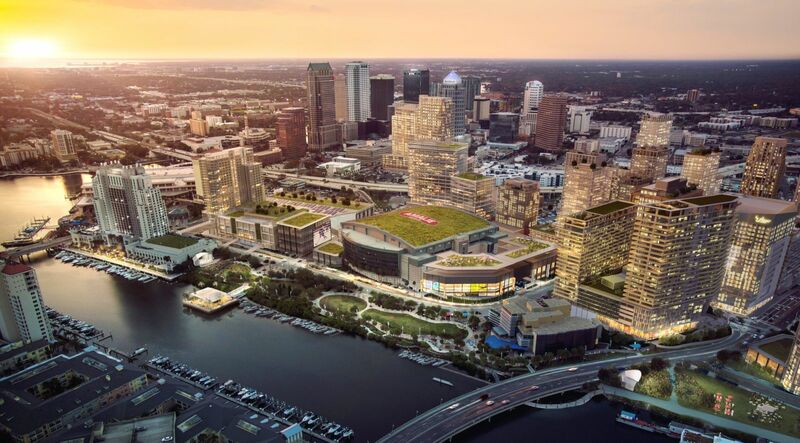 It's incredibly satisfying to know our citizens decided to invest in our county," said Vinik. 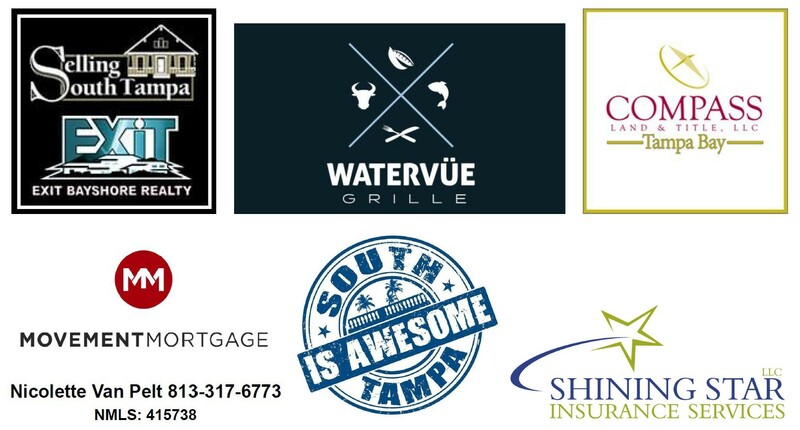 Last month, the construction projects currently transforming the Tampa Bay area made a lot of progress! Ranging from Virage Bayshore - a luxury condo tower on Bayshore Boulevard - to apartments in downtown Tampa, to a boutique hotel in Ybor City - the region's biggest new developments are certainly taking shape. Where: 202 S. Parker St.
Where: 1105 E. Twiggs St. Developer: Ascentia Development Group and Batson-Cook Development Co. 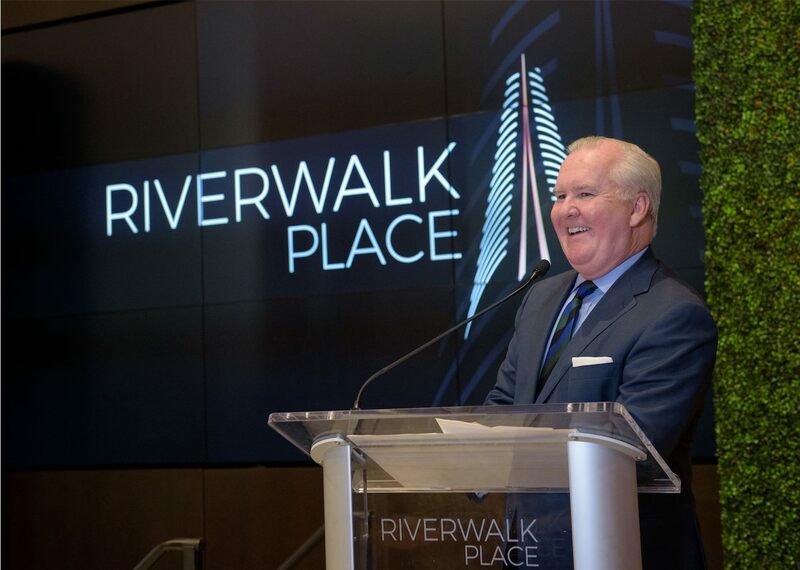 The groundbreaking of its first phase: This happened towards the end of April with the construction of a 26-story JW Marriott hotel - developer Strategic Property Partners’ first vertical construction within Water Street. A major land acquisition: In October, Water Street acquired some crucial acreage. Strategic Property Partners purchased 3 acres from the Ardent Mills flour mill, which will move out of downtown Tampa. This will connect the Channel district to the central business district. 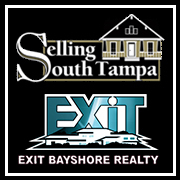 The developer also struck a deal to purchase several parcels along the reconfigured Brorein Street from the Tampa-Hillsborough County Expressway Authority. The long-awaited transformation of Channelside Bay Plaza: Sparkman Wharf, the redeveloped Channelside Bay Plaza, will include 180,000 square feet of loft-style office space. There will also be 65,000 square feet of retail space overlooking the lawn. Sparkman Wharf is set to officially open on November 30. The second building to break ground will be 815 Water Street, a retail-and-residential building with a ground-floor grocery store at Channelside Drive and Water Street. Another critical component of the Water Street development is office space. Plans for a headquarters within Water Street, with new office buildings and new corporate tenants have been public since 2014. In the second quarter of 2019, the developer will break ground on a speculative, 20-story tower at 1001 Water Street, which will be built at the northeast intersection of Channelside Drive and Water Street. These are just a few of the exciting things happening in Water Street - WATCH THIS SPACE!